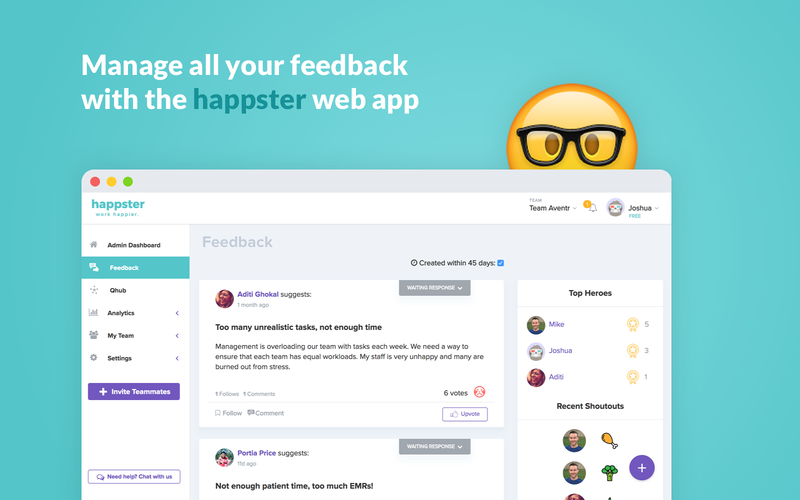 • Easily track and manage the feedback in our web appWith Happster Feedback, staying in-tune with the most impactful issues on your team has never been easier! And best of all, existing Slack users will automatically have a new Happster web app account created for them by just adding their first feedback. 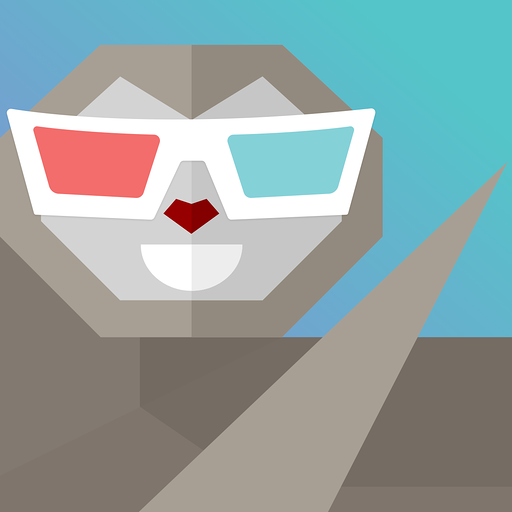 Less signup fatigue = happiness.Try it out for free! Happster Feedback will be able to access information about your workspace, including name, email domain, and icon. Happster Feedback will be able to access your profile fields, as well as any data you’ve entered in them. 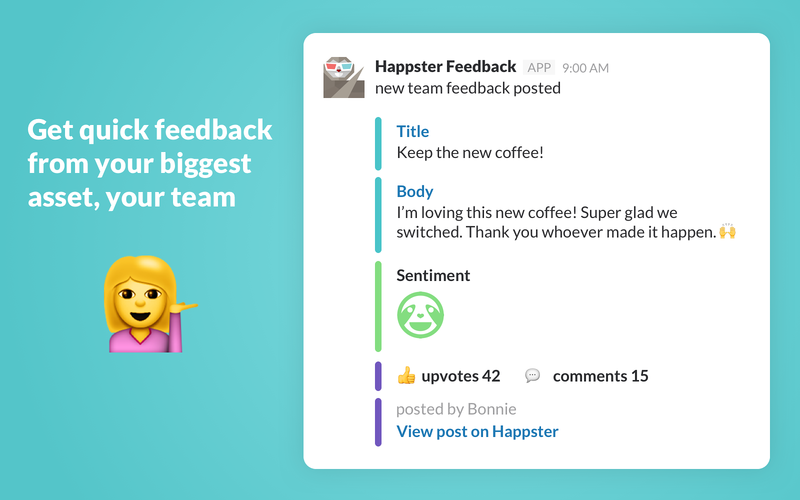 Happster Feedback will be able to view the email addresses of your Slack workspace’s members. Happster Feedback will be able to post to specific channels in Slack. 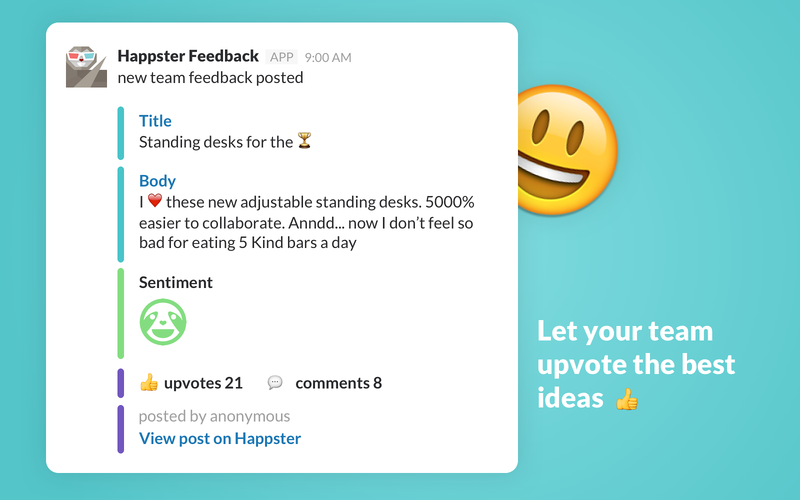 Happster Feedback will be able to send messages to your workspace. 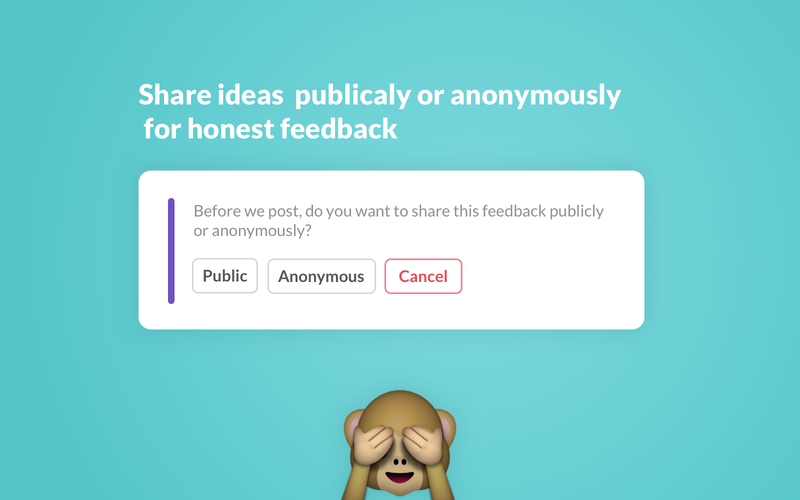 Happster Feedback will be able to access basic information about your public channels (including names, topics, purposes, creation date, and latest message). Happster Feedback will be able to access basic information about your private channels (including names, topics, purposes, creation date, and latest message). Happster Feedback will be able to modify information about your public channels, including name and purpose, as well as archive and create new ones. Happster Feedback will be able to access profile information for all users on your workspace, including names and contact information. Happster Feedback will be able to access any messages and activity you can see in public channels.